KUALA TERENGGANU: The National Horse Show was a hit with 10,000 people turning up at the Terengganu Equestrian Resort in Kuala Ibai on its opening day yesterday. The show was officiated by the Yang di- Pertuan Agong Tuanku Mizan Zainal Abidin. Among the activities held during the ceremony were a performance by the mounted unit of the Royal Malaysian Police and a horse-riding challenge by the Malaysian Pony Club members. Raja Permaisuri Agong Tuanku Nur Zahirah also presented prizes to winners of the Secondary School Horse Art competition. Sekolah Menengah Kebangsaan Sultan Sulaiman bagged the RM5,000 first prize while SMK Padang Midin and SMK Tengku Bariah walked away with the RM3,000 second and RM2,000 third prize, respectively. Other attractions on the first of the three-day show were the start of the seventh Asian Regional farriery competition, Horse Carnival, Equine Exposition, Horse Breed and Carriage Display. Menteri Besar Datuk Ahmad Said said the event and the coming FEI World Endurance Championships would bring in more visitors to the state. URUGUAY'S Pio Juan Olascoaga Amaya, the current World No 2 and the highest ranked endurance rider to feature in next week's World Endurance Championships (WEC), is the favourite to win the individual title at the Terengganu International Equestrian Park (TIEP) in Lembah Bidong, Setiu. Amaya has been outstanding in several competitions -- especially in Uruguay -- where he has won two 160km Costa Azul events held in April and September, respectively. He will be riding his trusted horse -- Ar Vale -- at the WEC. The second highest ranked rider in the competition is Mohd Ahmed Ali Al Subose of the United Arab Emirates (UAE). The world No 4 has proved himself in several competitions and finished on the podium several times this year. His latest win was in the United Kingdom, where he captured the Euston Park competition on Oct 10 while his compatriot, Abdulla Thani Huzaim, the World No 5, is also a strong challenger in the WEC. The other challenger, Prince Sheikh Ahmed bin Mohamed Al Maktoum is the only rider from UAE to have won the individual world title. He did it at the 2002 edition in Spain. From the local front, Datuk Kamaruddin Abd Ghani is the highest ranked Malaysian rider at 93rd. Kamaruddin, a former Sea Games gold medallist, has been involved in endurance riding for more than a decade. He has competed in five tournaments so far this year and his most memorable outing was in Uruguay, where he finished third in the Costa Azul competition in April. Kamaruddin will be riding Navidad at the world meet. Among other Malaysians competing are Ismail Faizal (World No 107), Abdul Halim Alihan (161), Zainuddin Yusof (168) and Rosdam Mohd Noor (192). The 12-member Malaysian team will be led by the Yang di-Pertuan Agong, Tuanku Mizan Zainal Abidin. Abu Dhabi: Women's endurance riding has been given a boost by the Al Asayel Endurance Village and the 2008-09 season will see the first GCC Ladies Championship. Encouraged by the success of the rides held at this endurance venue in Sweihan in Abu Dhabi, the Al Asayel Endurance Village will be hosting the inaugural GCC Ladies Championship, a 120km ride in January. The Shaikh Sultan Bin Khalifa Al Nahyan Challenge, a three-round series of races for female riders, was a major success last season with each of the event attracting over 30 participants. Abu Dhabi: The UAE's 2008-2009 endurance season gets off to a soft opening today with the Boutheib Endurance Cup for Juniors and two qualifier rides being staged at the Boutheib Endurance Village in Al Khatem, Abu Dhabi. After today's rides the season takes a pause as the 2008 World Endurance Championship is being held in Malaysia next week. Shaikh Hamdan Bin Mohammad Bin Rashid Al Maktoum, Crown Prince of Dubai, and Shaikh Majid Bin Mohammad Bin Rashid Al Maktoum, Chairman of Culture and Arts Authority, are part of the strong six-member UAE team at the World Championship being held in Terengganu, Malaysia on November 7-8. Sultan Ahmad Bin Sulayem, Mubarak Khalifa Bin Shafya, Abdullah Thani Bin Huzaim and Mohammad Ahmad Ali Subose complete the UAE line-up. A week later, the UAE's endurance season resumes with the first competitive endurance ride in the Open category to be held on November 15 at the Emirates International Endurance Village in Al Wathba. A local equestrian and familiar face at the Uxbridge-Scugog Animal Control Centre will be heading to Malaysia next week to represent Canada at an international endurance race. Wendy Benns and Supreme Justice, her nine-year-old Egyptian Arabian, will be attending the World Endurance Championships on Nov. 7, hosted this year in Terengganu, Malaysia. The one-day event consists of a 100 mile race, with 150 horse and rider teams from around the world at this year's edition, including six members of Team Canada representing the top six horses in the country. Back home, Ms. Benns works as an animal control officer at the Uxbridge-Scugog Animal Control Centre, and takes the photos of pets seen in the 'For Adoption' pages of local publications like The Scugog Standard. "Travelling to a tropical region to compete means a lot of stress for the horses," said Ms. Benns of the challenges she will face in the competition, "especially the travel and acclimatization." She added that this particular race requires years of constant training and conditioning for participating horses. In addition to this year's event, her first World Endurance Championship, Ms. Benns has also competed in three Pan-Am Games as a member of Team Canada, making the jump to the international level of competition in 2006. Ms. Benns originally got into equestrian through the Uxbridge-Scugog Pony Club, which introduced her to the various types of competition. Ms. Benns also added that she was "overwhelmed" and thankful for the sponsors who helped her along the way, especially for what she described as a somewhat unconventional sporting event. "Endurance racing is a difficult sport to attract sponsors to," she said, "as it really isn't a spectator sport. Horses and riders race on trails in remote areas." "I'm hoping to help Canada become a medal contender in this competition," she said of her hopes for the race. KUALA TERENGGANU, Oct 31 (Bernama) -- The Yang di-Pertuan Agong Tuanku Mizan Zainal Abidin on Friday opened the three-day National Horse Show at the Terengganu Equestrian Resort here. The event, held for the first time in Terengganu, involves various programmes like horseshoe pitching contest, a horse carnival, equine exposition as well as exhibitions on horse breeding and horse carts. Tengku Mizan, who was accompanied by Raja Permaisuri Agong Tuanku Nur Zahirah and the Regent of Terengganu, Tengku Muhammad Ismail Sultan Mizan Zainal Abidin, also witnessed a dressage event performed by the Royal Malaysia Police's cavalry unit. Also present were Menteri Besar Datuk Ahmad Said and State Youth and Sports Committee Chairman Datuk Abdul Rahin Mohd Said. The show is jointly organised by the Terengganu government, the Royal Terengganu Endurance Stables and the STC Equestrian and Sports Centre. In conjunction with the event, a memorandum of understanding was signed between the Malaysian Equine Council (MEC) and the Equestrian Federation of Australia (EFA). The MoU was signed to give MEC the rights to use EFA specifications in Malaysia. The show is a prelude to the World Equestrian Championship to be held at Lembah Bidong, Setiu from Nov 6 to 9. Five weeks after Hurricane Ike devastated trails in the Clark State Forest in Indiana, the 100-mile and 50-mile American Endurance Ride Conference (AERC) National Championship riders and horses enjoyed excellent weather and trails on October 16 and 18. The well-attended ride had 45 starters in the 100-mile event and 114 starters in the 50-mile event. Winner of the 100-mile contest was AERC Hall of Fame inductee Valerie Kanavy with King Ali Gold. With a time of 9 hours and 53 minutes, they were 45 minutes ahead of the next competitors. Best Condition went to Hot Desert Knight, ridden by Farzad Faradyi, who were the second finishers. Teresa McCarty and Spectacular Gold were first to finish the 50-mile event, with a time of 3 hours and 58 minutes, and also won Best Condition. Other top weight division finishers were Austin Shaffer and Pearl Jam (Junior), Katherine Shank and Wind Dancer-Bey (Featherweight), Deb Shaffer and Sheik Abu Galihad+ (Lightweight), and Roger Barrett and Blueberry Bey (Heavyweight). The prestigious endurance ride was held in conjunction with the Arabian Horse Association’s Arabian and Half-Arabian Endurance Championship. For more information, check out the National Championship website at www.dbdr.info/NC%20Home.htm. Next year’s AERC National Championship will be held in Northern California on September 11 and 13. For more information about AERC and endurance riding, visit www.aerc.org or phone the AERC office at (866) 271-2372. ABU DHABI — The season’s inaugural endurance ride is all set to roll with the staging of the Bou Thib Endurance Cup at the Bou Thib Endurance Village, Al Khatem, Abu Dhabi, on Saturday. The UAE Equestrian and Racing Federation, in co-operation with the Emirates Heritage Club, Abu Dhabi, is organising the event for Junior and Young Riders. Over 55 youngsters have already confirmed their participation for the CEN-JY 100km ride, which will be run in four phases of 30km, 30km, 24km and 16km respectively. The ride will begin at 6am. The day will also feature two Federation Qualifying rounds of 40km and 80km respectively which has attracted a field of over 170 riders. Qualifying rides are organised by the UAE Equestrian Federation to enable the riders to qualify to participate in long-distance rides. All the rides are being held under the patronage of Shaikh Sultan bin Zayed Al Nahyan, Deputy Prime Minister and Chairman of the Emirates Heritage Club. Pre-ride inspection for the rides were held on Friday, at the Endurance Village. Shaikh Rashid Dalmook Juma Al Maktoum, Shaikh Abdullah bin Faisal Al Qassimi, Shaikh Saqr bin Faisal Al Qassimi, Munthar Ahmed Al Bloushi, Rashed Ahmed Al Bloushi, Ali Ghanem Al Marri, Khalifa Ghanim Al Marri, Mara Khalid Ahmed bin Sulayem, Ahmed Tariq Abdullah Al Mutawa, Muhanad Ali Khalfan Al Abdullah, Buti Mohammed, Khalaf Al Marri, Hamad Ibrahim and Abdullah Al Marzouqi are some of the contenders for the juniors championship on the opening day. Dubai, October 29, 2008: Deyaar Development, the region's fastest growing real estate company, announced today its title sponsorship of the International Equestrian Federation (FEI) World Endurance Championship, set to take place in Terengganu, Malaysia, from November 6-9, 2008. The UAE will be represented in this highlight of the global equestrian calendar by a six-strong team led by Sheikh Hamdan Bin Mohammed Bin Rashid Al Maktoum, Crown Prince of Dubai, and Sheikh Majid Bin Mohammed Bin Rashid Al Maktoum, Chairman of the Dubai Culture and Arts Authority. Earlier this year, His Highness Sheikh Mohammed Bin Rashid Al Maktoum, Vice President and Prime Minister of the UAE and Ruler of Dubai, personally led the UAE team to victory at the Austin Park Endurance Race in London, qualifying the national team to participate in next month's World Endurance Championship. "We are very pleased to sponsor this landmark equestrian event and, in particular, to demonstrate our support for the UAE team as they prepare to compete in this test of strength and courage," said His Excellency Nasser Bin Hassan Al-Shaikh, Director-General of the Dubai Department of Finance and Chairman of Deyaar. "The UAE has a long and proud association with the sport of horse racing, including earning gold medals at the most recent Asian and Pan-Arab Games. We wish the team great success at the championship in Malaysia." The FEI World Endurance Championship, held once every two years, is an extremely challenging event, covering 160 kilometres of terrain along the coast of the South China Sea. Held for the first time in Malaysia, the race will feature 142 riders from 34 countries, including stalwarts such as France, Brazil, Portugal, Argentina and Spain. "Just as the UAE continues to play an increasingly prominent role in the global economic arena, so too is the country taking on a leadership position in the world of sport, especially horse racing," said Markus Giebel, Chief Executive Officer of Deyaar, said: "At the same time, economic and trade relations between this country and Malaysia continue to strengthen, including in sectors such as real estate, finance and tourism. "For all of us at Deyaar, it clearly made sense to sponsor the FEI World Endurance Championship, a wonderful sporting event that demands teamwork, trust and a shared commitment to excellence. In choosing to sponsor this event and offer our support to the UAE team, we also noted that those are the very same values that continue to make Deyaar itself such a success," Giebel concluded. Deyaar Development PJSC is one of the fastest growing real estate companies in the region. Headquartered in Dubai, the company has grown significantly to evolve into a complete one-stop real estate solutions provider. Today, Deyaar is one of the most prominent brands in the regional real estate sector, with interests in development, property and facilities management, in addition to offering a range of services such as brokerage, marketing and sales. Deyaar's strategic solutions and deep market insights have helped create exceptional value for its investors. 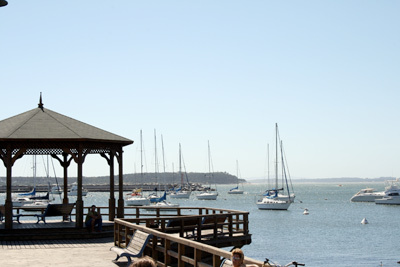 The company currently manages over 16,000 commercial and residential properties. Deyaar is set to continue to play a pivotal role in the ongoing development of the region's property landscape. The company complies with the Escrow legislation and all relevant laws in the UAE. Deyaar is registered with the Real Estate Regulatory Authority under reference number 15/07. SETIU, Oct 30 (Bernama) -- The National Sports Institute (NSI) played a major role in preparing the Malaysian contingent for the World Endurance Championship 2008 horse riding competition which will take place at the Terengganu International Endurance Park (TIEP) in Lembah Bidong near here from Nov 6 to 9. Youth and Sports Minister Datuk Seri Ismail Sabri Yaakob said the NSI arranged international exposure for the riders by getting them to compete in countries like Argentina, Australia and the United States so that they could get the proper certification to be eligible for the WEC 2008. "Secondly, the horses to be used were also tested by experts to ensure they would be able to handle the gruelling 160km race," he said in his speech at the Jalur Gemilang (national flag) handing over ceremony for the national contingent at TIEP here today. The text of his speech was read out by NSI director-general, Datuk Ramlan Abdul Aziz. Also present was State Youth and Sports Committee chairman, Datuk Abdul Rahin Mohd Said. KUALA LUMPUR, Oct 30 (Bernama) -- All twelve members of Malaysia's team to the FEI World Endurance Championship in Terengganu which will be held from Nov 6-9 and their horses are in good health despite having to undergo gruelling training in the current unfavourable weather conditions. The team is lead by the Yang di-Pertuan Agong Tuanku Mizan Zainal Abidin. Team Manager Mohd Din Mohd told Bernama that the team members had to regularly undergo medical check-ups each time they completed their training sessions. Entering the final training phase now, the team members practise twice daily -- morning and afternoon -- to be primed to land both the team and individual titles. "Training includes riding several kilometers along the actual competition routes under the hot and dry weather conditions," Din said, adding that bad weather could affect the health of both riders and horses. "Our medical teams and veterinarians are always on stand by to do regular medical check-up to determine the current health status of the riders and horses," he said. The sport of kings takes on its literal meaning at the National Horse Show in Terengganu. ENDURANCE riding is one of the newest and fastest growing branches in equestrian sport and no less than the King himself is promoting the discipline. Not only is Yang di-Pertuan Agong Tuanku Mizan Zainal Abidin the patron of the Marang Endurance Track, a new competition at the 14th National Horse Show (NHS), His Majesty will also take part in the race to be held for the first time in his home state of Terengganu. The accomplished equine enthusiast is all set to display his skills in the 40km and 80km events. Jointly organised by the Terengganu state government, the Royal Terengganu Endurance Stable and the Selangor Turf Club (STC) Equestrian and Sports Centre, the three-day event from tomorrow will also feature two other "firsts". The annual show, which debuted in 1994, will host the Federation of Equestrian International World Jumping Challenge and World Dressage Challenge at the main venue, the Terengganu Equestrian Resort. The endurance race is undoubtedly an exciting one as it challenges the fitness and skill of both the horse and rider. It is a test of good horsemanship where the riders must be attuned to the conditions of their mounts. Apart from the medals for top placings, an additional award – the Best Conditioned Horse – will be given to the animal athlete determined by a combination of speed, weight carried and veterinary scores. This is undoubtedly a coveted recognition in any endurance race. STC veterinarians will be on hand to provide professional care to the horses in all the events at the show, especially those taking part in the strenuous endurance race. STC official veterinary surgeon Dr Rebecca Tan, who is in the veterinarian commission of the NHS, says all the horses will be inspected for fitness to compete prior to the race and a series of compulsory checks are scheduled at intervals to ensure that the animals are fit to continue. The newly-introduced equestrian events will certainly make the show more interesting. Besides the endurance race, there are also a pony club mounted challenge, a trade exhibition and a horse carnival. The carnival, called Kuda Sukmo, will showcase fun activities like pony rides, buggy and carriage rides, games, sideshows, treasure hunts and competitions to keep school children and families entertained. As an event to promote the education and development of equine sport, visitors will get a chance to view 20 breeds of horses, ranging from the local registered miniature, Criollo and Java to the Percheron. Horse breeds have evolved over the centuries through adaptation to their environment and human intervention in crossbreeding animals from different regions to get the desired characteristics for required tasks. For instance, horses that were needed for hauling heavy loads were bred for strength, while those required for fast transportation were bred for speed. Today, there are more than 160 breeds of race and equestrian horses that have been developed through selective breeding. Billed as the nation's premier equestrian event, the show has grown from strength to strength within the equestrian community over the years, as indicated by the number of visitors that now number around 10,000 to 15,000. Besides activities that involve horses, the show offers other attractions, including a regional farriery (horseshoe-making) competition, an equine trade expo and a carriage display. Held for the seventh consecutive year, the farriery competition is one of the biggest attractions for visitors, who are fascinated by participants hammering out and shaping horseshoes. NHS head of media Lo Wai-fai says the profession is growing in tandem with the development of the equine service industry and the competition attracts local farriers as well as those in Asia from Brunei, to as far as Turkey. Leading suppliers of equine products such as tack and saddlery, riding apparel, veterinary and equine nutritional products, fodder and stable equipment will participate in the expo, which has been an integral part of NHS since 1994. And the show wouldn't be complete without that other item that is often associated with horse – the carriage. The organisers have brought in a collection of these conveyances – the two most outstanding carriages are an authentic Australian regal glass carriage and an 18th century cobbin coach used to carry mail and money in bygone days. KUALA LUMPUR, Oct 29 (Bernama) -- Security will be a top priority at the World Endurance Championship (WEC) 2008, which Malaysia is hosting for the first time. Almost 1,000 security personnel including from the Malaysian Armed forces and Royal Malaysia Police will be on duty to monitor security throughout the prestigious biennial event, which will be held at the Terengganu International Endurance Park (TIEP) in Lembah Bidong, Terengganu, from Nov 6 to 9. The championship will see 142 riders from 34 countries taking part. Malaysia WEC 2008 competition director Mohd Din Mat said the security personnel would also help riders and point them in the right direction so that they do not lose their way. "To ensure that riders are not confused at night, the organisers will provide direction signs and lighting throughout the race track," he told Bernama. The Yang di-Pertuan Agong Tuanku Mizan Zainal Abidin will lead Malaysia's charge at the championship. The team consists of 12 riders. Other royalty who have confirmed their participation in the competition are Bahrain Crown Prince, Shaikh Nasser Hamad Al Khalifa and two members of the ruling Al-Maktoum family from the United Arab Emirates, Shaikh Hamdan bin Mohammed and his younger brother Shaikh Majed. The FEI has finalized the details of the 2009 Pan American Championship. 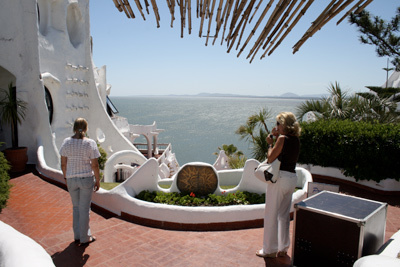 The competition will be held on April 24 near the popular resort town of Punta del Este on the southern coast of Uruguay. 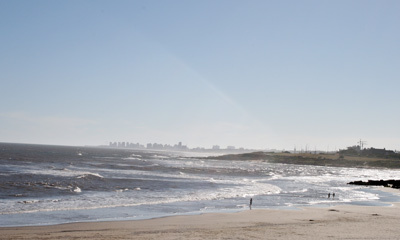 This area, where the Atlantic Ocean meets the Rio del Plata River, is modern and upscale and a very popular vacation destination with a wide range of hotels, restaurants, country clubs and resorts. It also offers everything for a beautiful and challenging competition - forests, grasslands, lakes and long stretches of sandy beach. The Championship will be held over a distance of 120 kilometers. According to Ketty Friedman, a Uruguay FEI 4* Judge who has been involved with International Endurance in Uruguay since 1997 a very dedicated core group of people have been working together to build the sport in Uruguay, and are primarily reponsible for the finalization of 2009 event. 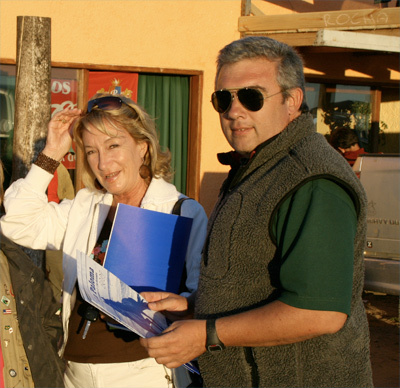 Gustavo Sclavo, president of the Uruguay Equestrian Federation has strong ties with Endurance discipline, has also been instrumental in building International Endurance in Uruguay, and in helping secure the bid for the 2009 Pan American Championship. They are certain that Uruguay will host a world class event and they look forward to introducing the world to this small South American country. In just a matter of days, the much expected and anticipated FEI World Endurance Championships will be under way at the sprawling Terengganu International Endurance Park (TIEP) in Lembah Bidong, situated on the scenic coastline 25 km north of Kuala Terengganu in Malaysia. From November 7-9, there will be 142 riders and horses from 34 countries set to compete, of which 22 have sent teams while the remaining 12 countries will be competing with individuals. As the majority of the horses have now arrived, Malaysia is on the verge of becoming the first Far East country to host a Senior FEI World Endurance Championship, held every two years since it's inception in 1986, which will also mark the first ever to be held in a tropical climate and during the hours of darkness. The facilities and venue are of the highest international standard, while the 160 km course is designed to provide a safe yet challenging competition, taking riders along the stunning coastline, through palm plantations, along canal banks and through natural vegetation forests. Considerable work has taken place over the last two years whereby the organizers, in conjunction with the FEI and independent veterinary organizations, have held a number of trial events with specific targets to meet to ensure the event could take place without increased risk to the horses that would compete in Malaysia. The 2006 trial event involved local horses and required a minimum completion rate and speed imposed by the FEI. These criteria were met and the 2007 trial run was then allowed to take place. This time the competition involved overseas-based horses who were again required to meet FEI minimum speeds and completions rates across the senior competition distance. The overseas riders and horses who attended this event exceeded expectations by riding skilfully to the conditions they faced and produced an above average completions rate across all starters. The required criteria were met and permission was then granted by the FEI for the championship to take place in November 2008. The FEI is committed to the welfare of all horses competing in equestrian sport and is confident that all the riders and horses that will be competing in the upcoming championship are qualified to show the same degree of horsemanship as shown during the trial events and to work with their horse as true partners in meeting the very special challenges they will meet together in Terengganu. Whilst the tropical temperatures and high humidity will be exacting challenges, the two successful trial runs have shown that horses ridden with care can compete safely and still produce an exciting result. Endurance has always been a competition to test the horsemanship skills of the rider and the fitness and athletic ability of the horse. In recent years much of that challenge has involved the need to produce increasing levels of speed across the ground and within the vet gate. In the words of a senior and well respected FEI endurance veterinarian and judge, "The World Championship at Terengganu will return to more traditional challenges for the horse and rider where speed must not be the main route to success, rather it will be the ability of rider and horse working together to overcome the challenges on the day that will bring results." The FEI has made it clear that anyone who overrides their horse or subjects a horse to excessive demands within competition will be considered to be in breach of the FEI Code of Conduct for the Welfare of the Horse. The FEI will not hesitate to bring such instances to the attention of the FEI Legal Department to take further action as required. The FEI and the Malaysian Equestrian Federation together with the organizers YDSM are looking forward to an exciting event held amidst the beautiful region of Terengganu on the East Coast of Malaysia. For up-to-date information and the latest news, go to www.malaysia-wec.com. The 2009 Championship event will be held in Babolna, Hungary on September 6, 2009. The Bábolna National Stud farm has been founded in 1789. There are just a few unique studs in the world, that operate for two hundred years, to preserve, promote and develop the values in breeding Arabian horses, created by the efforts of the predecessors. The goal of Bábolna Stud is not only to preserve, but also to convey our equestrian heritage to the general public, which once was closely connected to warfare, now has become the vehicle for a noble sporting activity. The history of Bábolna Stud, that is world famous today, looks back to the end of the 18th century. József Csekonics, captain of a cuirassier regiment, had the idea that horse breeding in Hungary may flourish only under the professional hands of stud masters, who may create imperial-royal studs. As ordered by Joseph II, Emperor of Austria and King of Hungary, a stud was created first in Mezőhegyes in 1785, then in Bábolna in 1789 with the purpose to breed fast and strong horses for the use of the army and public. From 1816 only Arabian horses are bred in Bábolna. This proves that the Bábolna Arabian breed came into being not too much after the Stud Book of the English through-bred horses, that was established in 1793. 1836 was a historically determining year in the life of the Stud, when Shagya Senior, a pure-blood Arabian stallion was brought to Bábolna by Eduard Herbert. This horse bred the first Shagya Arabian horses. Shagya Arabian breed was recognised in 1978 as being independent. Bábolna Stud preserved the values of this breed and even expanded it with other world famous families like Gazal, O'Bajan, Kemir, Mersuch, and Siglavy Bagdady. The Stud survived both World Wars, although it suffered severe losses. After World War II., Bábolna lost its military role, and the control of it was transferred to the Ministry of Agriculture as a State Farm. Adverse economical and social circumstances made many stallions to be transferred to western countries. During the 60's Bábolna tried to find new ways to breed pure-blooded Arabian horses, the Shagya Arab breed has conquered the hart of horse-lovers all over the word. From the past decades Bábolna stud is prospering again. The Shagya Arabian breed that was tested through the storms of history, is now became stronger and victoriously fights its reputation among its breeders, appreciating the loyalty and friendship between men and horse. PETALING JAYA: The Malaysian team completed a two-day trial on Saturday ahead of the FEI World Endurance Championship (WEC) with all 12 riders declared ready for the race on Nov 7. The panel of selectors will be naming four riders for the team event while the remaining eight will contest the individual category. The list will be announced on the eve of the race at the Terengganu International Endurance Park (TIEP) in Lembah Bidong, 30km north of Kuala Terengganu. The team's project manager, Che Mohammad Din, said that the vet checks revealed the mounts were primed for action. "We are placing equal emphasis on both the individual and team events, hoping to attain a creditable finish," he said. As hosts of the 12th edition of the WEC, Malaysia are allotted 12 places. The team are spearheaded by the Yang di-Pertuan Agong, Tuanku Mizan Zainal Abidin, who will mount Taljari Moon Pharoah. Completing the line-up are former world number one endurance rider Kamaruddin Abdul Ghani (Navidad), Abdul Halim Alihan (Brookleigh Kentara), Bakar Aman (Almira Alborada), Norlaily Bunyamin (Bremervale Jessie James), Firdaus (Ifra Des Jamets), Shuaib Ishak (Blue Bronco), Azizie Ismail (Janor Fee), Faizal Ismail (Edenfels Zephyr), Rosdam Mohd Noor (Janor Mamatembo), Yusran Yusof (Nashaar) and Zainuddin Yusof (Texas). Based on the latest FEI rankings as of Oct 10, the highest ranked Malaysian rider is Kamaruddin at No. 93. The Pekan-born rider bagged the 2001 SEA Games gold medal and has competed in various international championships for the past 10 years. Apart from undergoing training at various areas within Lembah Bidong, the riders are required to maintain their fitness through a programme designed by the National Sports Institute (NSI). They have been undergoing a fitness programme for the past one year under the watchful eyes of several NSI staff, including former national taekwondo exponent R. Selvamuthu. THE 12 Malaysian riders competing in the World Endurance Championships (WEC) and their horses have been declared fit for the race at the Terengganu International Endurance Park (TIEP) in Setiu on Nov 6-9. The riders tested the 160-km course last weekend and they were happy with everything. Also, their horses were given a clean bill by the International Equestrian Federation (IEF). Malaysia's WEC 2008 Athlete Preparation project manager, Che Mohammad Din, said the Malaysian riders are ready to make an impression on both the individual and team event. "We are placing equal emphasis on both events, hoping to attain a creditable finish," said Che Mohammad. "However, a medal is of course much brighter for Malaysia in the team event." A panel of local selectors will also be naming four riders for the team event, while the remaining eight will contest the individual category. It will be announced on the eve of the event. A total of 33 countries, comprising 142 riders, will be competing in the WEC. The Malaysian team will be led by the Yang di-Pertuan Agong, Tuanku Mizan Zainal Abidin, who will be astride Taljari Moon Pharoah. The highest ranked rider in the Malaysian team is Datuk Kamaruddin Abdul Ghani (Navidad) at 93rd. The Perak-born rider, a gold medallist at the 2001 Kuala Lumpur Sea Games, has been competing in various international tournaments for the past 10 years. THE Qatar Endurance Riding team are looking to the future as they prepare for the 160 km World Endurance Championship (WEC) to be held on November 7 in Terengganu , Malaysia . After two years of competition to qualify, Qatar will be represented by a rapidly developing group of young riders that features one seasoned veteran, 44-year-old Atta Mohamed Beer. This will be the fifth WEC appearance for Beer, who competed in his first championship in 1998 and finished 15th in the international field in Dubai . The entire Qatar team annually competes in endurance events for Al Shaqab, member of the Qatar Foundation. As the seasoned competitor, Beer is joined by a talented group of younger riders that range in age from 19 to 25. Of that group, only Abdulla Towaim al-Marri joins Beer with competition in a previous WEC event. The 20-year-old Al Marri was part of the 2006 Qatar team that competed in the championship in Aachen , Germany . The team also includes brothers Mohamed Tahous al-Nuaimi and Hassan Tahous al-Nuaimi. Mohamed Tahous is the team's second-oldest rider at 25, and was followed into the sport by Hassan, a 20-year-old. The brothers enjoy a friendly rivalry in races and daily practice rides. They have been solid performers over the past season while competing in France. As the youngest members of the team, 18-year-old Faleh Nasser Abughenaim and 17-year-old Khalid Sanad al-Nuaim have proved their talent this season. Faleh, an accomplished jump rider, began endurance riding only two years ago. His fourth-place finish in the St. Galmier event in France was the best finish this year in competition outside of Qatar . The 2008 Qatar Endurance Team is led by Chef d'Equipe, Owaida al-Hajri and Hadi Nasser al-Naimi trainer. Abu Dhabi - The sporting season has just got off the blocks in the UAE, and it’s going to get better and in full swing. After the summer break and the Ramadan and Id festivities, the UAE endurance season will roll on November 1, with the staging of the FEI 100 km ride for Juniors and Young riders. The day will also feature two Federation Qualifiers 40km and 80km respectively. The UAE endurance season is promising to be a hectic one with several national and international rides being planned along with rides for juniors and young riders, owners of local stables and also exclusive rides for ladies. After the World endurance Championship which is slated to be held in Malaysia on November 7 and 8, in which six UAE riders will be participating, endurance riding will start off briskly in the UAE on November 15, with FEI, 120-km ride scheduled to be held at the Emirates international Endurance Village, Al Wathba. Dubai Endurance City will open its doors for the season with FEI 120-km ride on November 29. The rides will be held in Emirates International Endurance Village, Al Wathba, Bou Thieb Endurance Village, Al Khatem, Al Asayel Endurance Village, Sweihan and Dubai International Endurance City, Seih Assalem, Dubai. Some of the eagerly awaited rides of the season include the National Day Cup, Shaikh Mohammed bin Rashid Al Maktoum Cup, Shaikh Rashid bin Hamdan Al Maktoum Challenge (Two Rounds), Shaikh Hamdan bin Rashid Al Maktoum Challenge (Two Rounds), Shaikh Saeed bin Hamdan Al Maktoum Cup, three-day 240-km Shaikh Sultan bin Zayed Al Nahyan Endurance Cup, which is part of the Endurance Festival held annually in Bou Theib Endurance Village, His Highness The President Cup for Junior and Young Riders, His Highness The President Cup Open ride, His Highness The President Cup for Ladies, FEI Ladies Challenge (in three Rounds) and the FEI GCC Ladies Championship (which is making its debut this year). Most of the days will be featuring Federation Qualifiers to enable junior and young riders to participate in rides of longer distances. Taleb Dhaher Al Muhairi, who took over as the Secretary General of the UAE Equestrian Federation, recently expressed the hope that the current season will be as successful as the earlier ones. He said that the UAE endurance rides had attracted a huge number of participants including UAE and GCC nationals and expatriates. He said continuous cooperation between those involved in the rides and strong support from the sponsors made the rides successful in the country. The previous endurance season was an exciting and eventful one. As many as 68 rides kept the organizers busy throughout the period. The rides included 25 FEI rides, several open rides, rides exclusively for ladies and Federation Qualifiers. Of the 25 FEI rides, a total number of six rides were held at the Emirates International Endurance Village, six in Seih Assalem, Bou Theib Endurance Village played host to nine, whereas four rides were held at Al Asayel Endurance Centre. As many as 2,837 horses started in the rides, including qualifying rounds and rides for ladies, covering a total distance of 5,904 km in all. The number of finishers was 1,226 amounting to 43.21 per cent completion. As many as 1,611 horses were eliminated out of which 973 for lameness, 391 for metabolic reasons, 180 horses retired, 22 disqualified, 542 were presented in vet clinics and 435 were treated. The endurance department issued new licences to 528 horses, 560 riders and 43 trainers during the season. The Brazilian Federation has withdrawn its team from the FEI World Endurance Championship 2008. Following an equine death from glanders(*) at the Sau Paulo Veterinary University, the EU posed a six month transi ban on receiving equines that originated from Brazil. Since all horses from South America must transit through Europe on their way to Malaysia this ban adversely affected the Brazilian horses. Eventually the ban was modified to apply to only 'at risk' zones which included Sau Paulo. This now permitted the Brazilian team horses, which were in a 'risk free' zone outside of Sau Paulo to be transported to Malaysia via Frankfort, but only from the South American port of Buenos Aires, Argentina, since Sau Paulo was off limits. The Brazilian Federation horses were finally cleared to be shipped, but due to administrative delays in the various agencies, the soonest arrival that could be scheduled was for November 5. This was determined to be too late for competition horses to arrive considering that the total transit time from Brazil to Malaysia would be at least four days. In addition to the Brazilian Federation horses, two other competitors whose horses resided in Brazil will also be withdrawn: South African rider Carmen Du Preez and her horse Nag Sharon Bez, and UK rider Dominique Freeman and her horse Roger HCF. *Glanders is an important infectious equine disease of imposing antiquity. It is endemic in Brazil, Turkey, United Arab Emirates, Iran, Iraq, India, Pakistan, and some other countries. While glanders is considered endemic in some northern and north-eastern areas of the country, this case occurred in the southeastern portion of Brazil. The contagious disease has been eradicated from many countries, including the United States, Canada and Western Europe. DUBAI — Shaikh Hamdan bin Mohammed bin Rashid Al Maktoum, Crown Prince of Dubai and Chairman of the Executive Council will lead the UAE charge at the FEI Endurance World Cup to be held in Malaysia next month. Mada’in Properties will be the official sponsors of the Dubai Racing Channel (DRC) during its live coverage of the international endurance showcase, it was announced on Wednesday. The competition will be held over four days from November 6. It has also been confirmed that Shaikh Majid bin Mohammed bin Rashid Al Maktoum will be in the six-member strong squad. “We are pleased to associate ourselves with this newly born TV station,” said Abdul Aziz Al Awar, CEO of Mada’in Properties during a brief signing ceremony. The agreement was signed by Rashid Amiri on behalf of the Dubai Media Incorporated and Abdul Aziz Al Awar for Mada’in. Meanwhile, Darweesh Mohammed Ali, director of the Dubai Racing Channel reiterated that the agreement is a step forward in the right direction. “It’s only the beginning,” he said. “We are embarking on an ambitious long term partnership with Mada’in after the official launching of the channel,” he said. But Ali declined to unveil the exact amount of the deal. “Our immediate concern is to achieve our target by providing a live coverage to the satisfaction of the public through our dedicated team in Terengganu, Malaysia and live studio at our headquarters in Dubai,” he said. The FEI World Endurance Championship 2008 will be held at Terengganu International Endurance Park in Setiu Terengganu, Malaysia. Situated a few kilometres from the South China Sea, the venue will offer visitors and competitors the best of Malaysia’s natural beauty and hospitality. The course is designed to provide a safe yet challenging competition, taking riders along the stunning coast line, through palm plantations, along canal banks and through natural vegetation forests. A long and wide grassy stretch of track provides ample space for the start of the competition from the venue, and for a safe finish line and entry back into the Endurance Park. Meanwhile, the final MAS Cargo jet arrived at Sultan Mahmud International Airport, carrying the final load of horses. With the exception of UAE, Qatar and Bahrain horses which will by transported by privately owned cargo jets, all of the competing horses are now on location. They will remain in separate stables and be confined to separate training tracks in accordance to FEI quarantine requirements as determined by geographic regions until the competition begins. KUALA LUMPUR, Oct 21 (Bernama) -- Thoroughbred Arab horses aged from six to 12 are the popular choice of a majority of riders competing in the World Endurance Championship (WEC) to be held at the Terengganu International Endurance Park (TIEP) in Lembah Bidong, Terengganu from Nov 6-9. Project Manager for WEC 2008 Malaysian riders, Mohd Din Mat said not all bred are suitable for endurance races, especially to withstand the gruelling 160km endurance race at WEC, considered the toughest race in the world. "The race is a real test and combination of the horses' stamina, endurance and the riders physical and mental strength. The Arabian horses are picked because they are renown for their intelligence, high spirit and outstanding stamina," he told Bernama here today. Mohd Din said Malaysian riders, including the Yang di-Pertuan Agong Tuanku Mizan Zainal Abidin too, would be using Arab horses during the competition. "Tuanku Mizan who qualified for the championship on merit, will be using two Arab horses named Taljari Moon Pharoah and Ibrahim Pascha Larzac, during the competition," he said. He added that apart from being physically and mentally fit, horses must also qualify for a Certificate of Competition (COC) from the Federation Equestrian International (FEI) to compete in the bi-annual championship. Mohd Din said endurance race horses needed special care, attention and food to ensure they remained in good shape. "Among the types of food consumed by such horses are Cuibes, Haven, Chaff and their food are supplemented by vitamins. "For race horses, expenses for food can cost anywhere between RM1,000 to RM2,000 a month, based on the owner's financial capability," he said. Most area horse people know the names of Lynda and Ken Townsend of Ste-Justine, Que. through their horses, ponies, buggies and sleighs as well as the “Cadillac” of petting zoos and pony rides, “Town and Country”, which they ran for many years. What many don’t know, though, is that while most of us have been winding down our competition season and preparing for the colder weather, their daughter, Wendy MacCoubrey and “Mariah”, a sixteen-year-old Arab gelding, have been doing the exact opposite! They are part of the six member Canadian Endurance Team (plus four officials and 15 grooms and crew members!) which left JFK Airport last week headed to Malaysia (read: heat and humidity) for the World Endurance Championships, Nov. 7 to 9. Wendy herself has logged over 4,500 competitive miles in the saddle, and more than 4,000 of them with “Mariah” as they worked towards making this team. Here’s wishing them all the best of luck in the competition. The team can be followed through www.endurancecanada.ca. SINCE its inception in 1986, only two men have managed to win the World Endurance Championships (WEC) individual title and in next month's edition, a woman rider is tipped to be the winner again. In endurance racing, women make up the majority of competitors and more than 50 per cent of the 141 competitors for the 12th edition on Nov 6-9 will be women. WEC technical advisor, Derek Liebenberg said endurance racing is a popular discipline in equestrian among women riders. "The reason women riders have won nine out of 11 world individual titles is because of their huge numbers in each previous editions. "I have reason to believe that women riders will start as favourites in Terengganu," said Liebenbery at the Terengganu International Endurance Park (TIEP) in Lembah Bidong, Setiu on Saturday. "The 160-km race is supposed to be tougher for women as they are lighter and need to strap 'dead weights' to their saddles. "The minimum weight for competitors in endurance events is 75kg and normally only women athletes need to strap weights to their saddle." Women riders from the United States have won seven consecutive editions, starting with the inaugural event in Italy through Cassandra Schuler, followed by three-time winner Becky Hart (1988-United States; 1990-Sweden; 1992-Spain). Valerie Kanavy won in 1994 in The Netherlands and in 1998 in the United Arab Emirates, while her daughter Danielle nailed the 1996 US edition. France's Milla Killa Perringerard broke the US dominance in 2000 to ensure a woman won it again, while Ahmed Al Maktoum of the UAE emerged the first men's winner in the 2002 edition in Spain. In the 2004 edition in UAE, Barbara Lissarague of France won it for the ninth time for the women while Spain's Miguel Villa Ubach struck one back for the men when he emerged champion in Germany in 2006. Meanwhile, the national squad, consisting of 12 riders led by the Yang di-Pertuan Agong Tuanku Mizan Zainal Abidin, have begun their final preparation for the WEC at the TIEP. Malaysia are hoping to win their first ever world meet medal in the team event. All the local horses, including Tuanku Mizan's ride -- Taljari Moon Pharoah -- are in good condition for the event. La Coupe du Monde des cavaliers d’endurance vétérans se déroulera le samedi 25 octobre à l’Hippodrome de Wallonie à Mons/Ghlin. Au départ, plus de cinquante cavaliers représentant neufs nations (Allemagne, Argentine, Belgique, Danemark, Finlande, France, Italie, Norvège, Russie). Les concurrents partiront de l’Hippodrome de Wallonie pour se diriger vers la réserve naturelle de la Mer de Sable où se dérouleront les contrôles vétérinaire et la deuxième boucle, avant de revenir vers l’Hippodrome pour l’explication finale sur la 4ème boucle. Quelques vétérans de renom seront au rendez-vous, notamment Jack Begaud(Fra), Vincent Dupont(Fra), Miguel Pavlovsky(Arg) et Fausto Fiorucci(Ita), Freddy Meurrens (Bel) pour se disputer ce premier titre. Une selle sera offerte par Gaston Mercier (deux fois Champion d’Europe) au vainqueur. Les selles Gaston Mercier, d’une qualité et d’un fini exceptionnels, équipent un nombre considérable de cavaliers belges et étrangers. The WorldCup for Veterans riders will take place on Saturday 25th October at the Racetrack of Wallonia, located in Mons, Belgium. At the start, more than fifty riders representing nine nations (Germany, Argentina, Belgium, Denmark, Finland, France, Norway, Italy, Russia). The flag-off will be done from the Racetrack of Wallonia. Horses will head toward the natural reservation of the “Mer de Sable”, near the superb castle of Beloeil. The first and second vetgates will take place there, then horses will come back to the racetrack, before the 4th and final loop. Several well-known veterans will be competing, including Jack Begaud and Vincent Dupont from France, Miguel Pavlovsky from Argentina, Fausto Fiorucci from Italy and Freddy Meurrens from Belgium. But there will only be one winner. The winner will be presented a saddle from Gaston Mercier, the double European Champion. The Gaston Mercier saddles equip many Belgian and international riders and have gained an international reputation thanks to their ultimate design and comfort. Six US Horse/Rider combinations arrived in Malaysia this past week with the hope of a stellar performance on Nov 7-8 when 141 entries from 33 countries compete for the honor of being named World Endurance Champion. Over the past year, those hoping for a position on the US Team have attended competitions and training sessions under the guidance of Becky Hart, three time World Champion and Chef d'Equipe for the US Endurance Team. While in Malaysia, the team has access to the added expertise of Team Veterinarian Jim Bryant DVM, assistant Team Veterinarian Todd Holbrook DVM, Team Farrier Jeff Pauley and Equine Massage Therapist Jim Masterson. Due to the warm, humid conditions in Malaysia, the competition will begin at 5:00pm local time on Friday November 7th so that the majority of the competition will be run in the dark on a lighted course. The latest news will be available on the official website www.malaysia-wec.com and also on www.Endurance.Net. ABU DHABI // Sheikh Hamdan bin Mohammed will lead a six-member UAE team in the FEI World Endurance Championship in Terengganu, one of the three east coast states of the Malaysian Peninsular, on Nov 7. The others in the team include his younger brother Sheikh Majid, Mubarak Khalifa bin Shafya, Sultan Ahmed bin Sulayem, Mohammed Ahmed Ali Subose and Abdulla Thani bin Huzaim. The UAE are one of the favourites in the 160km race that has drawn 142 entries from 34 countries. The race will be held at night for the first time. This is because the country experiences afternoon rains, particularly from November to January. And the days are warm with humidity more than 80 per cent. The course takes the riders along a stunning coastline, through palm plantations, along canal banks and through natural vegetation forests. The start is a long and wide grassy stretch of track and the finish line is the entry back into the Endurance Park. Sheikh Hamdan, who has won a number of endurance trophies, including the Asian Games Gold and, more recently, a fourth place in the European Open in Portugal last year, is set to ride Jazyk. The 11-year-old Arabian chestnut gelding finished 15th under Sheikh Ahmed bin Mohammed in that race after recovering from time wasted in replacing a shoe he lost in the opening loop. Sheikh Majid rides another European Open campaigner Spenda Crest Kamouflage, another 11-year-old chestnut gelding who is joint seventh in the FEI Endurance horses’ world ranking list. Shafya is to reunite with Zakah Zahara, who was first past the post in the 160km race before being disqualified when failing to pass the post-race veterinary test. Sulayem is booked on Tazoul El Parry while Subose and Huzaim, who are ranked fourth and fifth respectively in the FEI rankings, are set to partner Koum Des Jamets and Castlebar Kadeem. The UAE have a proud record since the sport was first introduced officially in the country in 1993. Sheikh Ahmed bin Mohammed, on Bowman, became the youngest and first male rider to win the world championship in Jerez, Spain, in 2002. They have hosted two world championships, the first in 1998 and then in 2004 in which Sheikh Mohammed and Sheikh Hazza bin Zayed shared the podium with the winner Barbara Lissarague of France. The UAE will be aiming to regain the world championship and also claim the team title they have come close to winning on numerous occasions only to fail on the final loop of the race. The UAE season, meanwhile, gets under way with a 100km race for young riders and juniors at the Bouthdib Endurance Village on Nov 1. The week after is free because of the World Equestrian Championship in Malaysia, and Nov 15 sees the first of the open rides of the season at the Emirates International Endurance Village in Al Wathba. Abu Dhabi: Shaikh Hamdan Bin Mohammad Bin Rashid Al Maktoum, Crown Prince of Dubai, and Shaikh Majid Bin Mohammad Bin Rashid Al Maktoum, Chairman of Dubai Culture and Arts Authority will be part of a six-strong UAE team at the 2008 World Endurance Championship to be held in Terengganu, Malaysia from November 6 to 9. According to the list of entries announced by the organisers, Shaikh Hamdan and Shaikh Majid along with Sultan Ahmad Bin Sulayem, Mubarak Khalifa Bin Shafya, Abdullah Thani Bin Huzaim and Mohammad Ahmad Ali Subose complete the UAE line-up. Jazyk, Spenda Crest Kamouflage, Koum Des Jamets, Castlebar Kadeen, Zakah Zahara and Tazoul Al Parry are the six horses that will partner the UAE riders. While four of the UAE riders will take part as a team all six will get a chance to go for gold in the individual event. The 160-km ride will be held at the Terengganu International Endurance Park and is the first world event to be run in the evening with a 3.30pm start. Apart from the UAE and hosts Malaysia, 32 other countries have entered their riders with 142 horses and riders being confirmed as definite entries. All countries can enter a six-member team while the hosts Malaysia can enter a 12-member team of riders. The UAE team is a formidable line-up with Shaikh Hamdan and Shaikh Majid having been winning members of the UAE team which won the Asian Games gold and the Pan Arab Games gold in the team championship. Sultan Ahmad Bin Sulayem won the bronze in the individual event at the Doha Asiad. The UAE's best result in the world championships was in 2002 in Jerez, Spain when Shaikh Ahmad Bin Mohammad Bin Rashid Al Maktoum won the individual gold. While the UAE will be starting off as one of the strong favourites, joining them in the race for honours will be the French, Spanish, Australian and the US teams. Two-time world champion and silver-medallist once, Valery Kanavy of the US and the French team riders who have achieved the most success in the world championships will be taking part in the November 7 ride. The UAE's domestic endurance competitions for the 2008-09 season is set to start with a junior ride at the Boudtheib Endurance Village in Al Khatem on November 1. Al Wathba will kick off the open competition with a 120-km ride on November 15, a week after the World Endurance Championship in Malaysia. According to the tentative endurance calendar for the 2008-09 season, rides will be held at Emirates International Endurance Village in Al Wathba, the Dubai Endurance City in Seih Assalam, Boudtheib Endurance Village in Al Khatem and ;ladies rides at the Al Asayl Endurance Village in Sweihan, Abu Dhabi. Midday will have plenty of time to recover from the long trip as the competition is not until November. There was last minute excitement when the Calais ferryport closed because of a strike, fortunately the problem was resolved speedily and they are on their way. Dom Freeman's horse Roger has to wait a few days before he travels as there has been an equine health scare in Brazil which has meant considerable negotiations to ensure that it was safe to ship both Dom's horse and the Brazilian Team. Hopefully that crisis is also resolved but it will mean that Roger doesn't have such a good recovery period. Fifteen horses became the first batch of horses to arrive in Malaysia for the FEI World Endurance Championship to be held on 5th to 9th November at Lembah Bidong, Terengganu. Four horses from Oman, six from Australia, one from New Zealand¸ and four horses for Malaysian riders arrived at the Sultan Mahmud Kuala Terengganu airport from Sydney and Dubai via the Kuala Lumpur International Airport (KLIA) on a MASKargo Airbus A300. It was the maiden landing for an Airbus at the recently upgraded airport. The attention was focused on Taljari Moon Pharoah, the Arabian horse which will carry His Majesty, Yang di-Pertuan Agong, Tuanku Mizan Zainal Abidin, in the 160km championship ride. It arrived on the flight from Sydney along with another of Tuanku Mizan’s second horse, Ibrahim Pascha Larzac. Tuanku Mizan is one of twelve Malaysian riders who qualified on merit and was selected to represent Malaysia in the 12th edition of the FEI World Endurance Championship. The horses were unloaded from air-cargo horse pallets that are used to stable the horses in the aircraft and transferred on to a horse float where they were transported safely to stables at the Terengganu International Endurance Park (TIEP). The welcoming party at the airport was headed by Terengganu Menteri Besar, Datuk Ahmad Said, Datuk Abdul Rahin Mohd Said, chairman of Terengganu State Committee for Youth and Sports and Malaysia Airport Berhad and MasKargo officials. The FEI has rated the TIEP one of the top three endurance parks in the world. The venue has been tried and tested through several events, including the FEI WEC 2008 trial event, the CEI**** Sultan’s Cup Terengganu Endurance Challenge 2007. Another batch followed the inaugural batch of horses later in the afternoon. Two more planeloads of horses are scheduled for Saturday with 30 horses on a Boeing 747 in the afternoon, the anticipated big event of the day. 141 horses and riders from 33 countries have been entered by their countries for the FEI WEC 2008. One rider from Denmark, Inger Elisabeth Pitter Bertelsen, has pulled out from the much anticipated event after she was involved in an accident while riding her own Raouel Ox back home. The World Endurance fraternity has been abuzz with anticipation that Terengganu could stage the best ever World Endurance Championship since its inauguration in Italy in 1986. The event will be flagged off by Raja Permaisuri Agong, Tuanku Nur Zahira at 5:30 pm on Friday 7th November. The 2008 FEI European Endurance Championships for Juniors and Young Riders took place on 26-28 September 2008 in Oviedo, Spain. Riders and horses benefited from the wonderful facilities offered by the Equestrian Center “El Asturcón”. The difficulty of the trail was worthy of a Championship with its many hills, but with the sun shining and a light breeze accompanying the riders throughout the day, they were able to enjoy the fantastic view of the mountainous surroundings of the trail. With a 58% completion rate, the young participants showed they were up to the challenge and managed to combine both “smart” and efficient riding. The French riders dominated the competition by finishing first and second of the Individual competition and winning the Team competition. Belgian riders also had a very successful weekend winning the bronze in the Individual and the Silver in the Team. With three out of 4 riders finishing the ride, Switzerland still managed to win the Bronze for the Team competition followed by Great Britain in fourth place. During the Closing Ceremony the Organisers of Oviedo passed on the FEI flag to the Organisers of the 2009 FEI World Endurance Championship for Juniors and Young Riders to be held in Bábolna, Hungary. photo: A horse bound for the FEI World Endurance Championships is led from a MAS Airbus A300 at the Sultan Mahmud International Airport in Kuala Terengganu yesterday. THE Yang di-Pertuan Agong, Tuanku Mizan Zainal Abidin will be hoping for a perfect start at the World Endurance Championships as his consort, the Raja Permaisuri Agong Tuanku Nur Zahirah has been given the honour to flag off the race on Nov 7. The event will be held at the Terengganu International Endurance Park (TIEP) in Lembah Bidong, Setiu. WEC event manager Azrin Zuhdi said Tuanku Nur is all excited about flagging off the race and watching Tuanku Mizan in action. "Her role in the race will definitely inspire Tuanku Mizan and the other local riders to make an impression at the event," said Azrin at the TIEP yesterday. Twelve Malaysian riders will be competing, both in the individual and team events at the world meet. Malaysia's best hope is in the team-of-four event. "Malaysian riders stand almost no chance in the individual category but there's a chance of making a grade in the team event, which will have 22 countries competing," said Azrin. The favourites for the team event are Spain, France, Brazil and Australia. Meanwhile, Denmark's only qualifier Inger Elisabeth Pitter Bertelsen has pulled out, which means 33 countries, comprising 141 riders, will be competing. Azrin said Bertelsen and his ride Raouel Ox suffered an accident during training last week. "Bertelsen decided to withdraw as his horse is suffering from lameness." Meanwhile, the MAS Airbus A300 successfully transported 15 horses, including Tuanku Mizan's horse Taljari Moonlight Pharoah from Australia, yesterday. It was the Airbus A300's maiden flight to the Sultan Mahmud International Airport. The C130, carrying nine horses from Argentina and Uruguay, also landed at the airport. The Boeing 747, a direct flight from Amsterdam, will be arriving with 30 horses today. KUALA TERENGGANU, Oct 17 (Bernama) -- The World Endurance Championships (WEC) 2008 which will be held at the Terengganu International Endurance Park (TIEP) starting Nov 6 will see a participation of 142 riders from 33 countries. Apart from Malaysia, among the other countries represented are South Africa, Argentina, Australia, Bahrain, Belgium, Brazil, Canada, Chile, Costa Rica, Colombia, Guatemala, Germany, Holland, Italy, Japan, New Zealand, Norway, Oman, France, Portugal, Qatar, Sweden, Spain, Switzerland, United Arab Emirates, United States, Britain, Uruguay. Terengganu Youth and Sports Committee Chairman, Datuk Abdul Rahin Mohd Said said 64 of the foreign participants had arrived in the state so far. He said Malaysia would be represented by 12 riders, led by Yang di-Pertuan Agong, Tuanku Mizan Zainal Abidin himself. Tuanku Mizan is also scheduled to officiate the championship at the Sultan Mizan Stadium, State Sports Complex, in Gong Badak on Nov 5. THE Terengganu International Endurance Park (TIEP) is set to host the best-ever World Endurance Championships on Nov 6-9 with its world class facilities. According to WEC technical advisor Derek Liebenberg, the TIEP has the best facilities if taken as a package. "It has the best stables, complex and track. TIEP comes with a complete package, unlike in previous editions where something was always lacking," said Liebenberg at TIEP in Lembah Bidong, Setiu yesterday. "The venue has been certified 100 per cent ready by the International Equestrian Federation (FEI) to stage the event. "I guarantee that people will be talking about the event for many years to come." Meanwhile, Liebenberg said certain sections of the 160-km course have been modified to overcome the expected wet conditions during the race. "We have lifted the soil by 30 centimetres and also installed a proper drainage system at a few sections to avoid flooding." A total of 34 countries, comprising 142 riders will be competing in the WEC. Liebenberg believes the race will be slower, unlike previous editions, and the winning time would be around nine hours. "It will be a slow race because of the tough track and weather conditions. Less horses will fail the veterinarian's checks and I predict a completion rate of 45 per cent. "Previous editions recorded an average completion rate of 33 per cent. Then the race was much faster and it led to many horses failing the checks." Meanwhile, the Airbus A300 and C130 Hercules bringing the first batch of horses, will arrive today. The Airbus A300 will be transporting 16 horse including the Yang di-Pertuan Agong, Tuanku Mizan Zainal Abidin's horse Taljari Moonlight Pharoah from Australia. The C130 will carry 12 horses from Argentina and Uruguay. Ottawa, ON—Malaysia brings thoughts of shining beaches at exotic resorts, tropical drinks under equatorial skies and bargains at crowded bazaars, but this November, it will also mean eager horses, determined riders, organized grooms and crews, veterinarians, officials and 100 miles of track which will wind among the beautiful countryside, the shore of the South China Sea, tropical rainforests and farms. The World Endurance Championship will be held in this exciting land on November 7, 2008. The venue will be the Terengganu International Endurance Park, Lembah Bidong, Merang Setiu, Terengganu, Malaysia. The Organizing Committee has set up two excellent websites: www.malaysia-wec.com and www.eventuz.com, which will include ride information the day of the event. This will be the first time that a world championship will be held in a tropical location. The track will be fully lit, as the ride is planned to start at 5:00 p.m. and run into the night. Horses and riders will represent some 36 countries, with 24 sending teams, and the others fielding individual riders. Endurance Canada is pleased to be sending a full complement of six riders and horses. Four of the riders, still to be chosen, will comprise the team, and two will ride as individuals. "With its emphasis on bringing the horse across the finish line in best health rather than merely in the shortest time, Endurance is the ultimate test of sympathetic horsemanship," noted Equine Canada CEO, Akaash Maharaj. "The 160km course will be the culmination of years of training and perseverance for our horses and riders, and we are very proud that they will represent our country and our sport at the World Championships. Just getting to the ride has been an organizational, technical maze. The horses will be leaving from Los Angeles, Miami and New York. Riders, officials and crew will travel from Toronto, Vancouver, New York, Los Angeles and Miami—all converging at Terengganu—where the real adventure begins. "Enough of the paperwork and red tape—let’s just do it," says Kay Melvin, Chef d’ équipe. Endurance Canada wishes the entire team congratulations, and good luck. Endurance Canada is a committee of Equine Canada, and the National governing body of the sport of Endurance Riding in Canada, from the grassroots to the international level. Endurance Canada is responsible for the growth and pursuit of excellence at all levels of the sport, providing support and guidance through various programs and committees: veterinary; rules and sanctioning; athlete and sport development; education and coaching; communication and awards. photo: TROTTING TIME: Corey Lunt trotting out “Cameo Stormboy” during the pre-ride vet check at the 2008 Tom Quilty Cup National championship in Queensland. WAGIN endurance rider Corey Lunt has just returned home from Nanango in Queensland, where he competed in the 2008 Tom Quilty Cup National Championship 160km ride, obtaining his second Quilty buckle. The championship event travels from State to State each year, with Corey winning the junior division and his horse Assiff, receiving the best conditioned horse junior award last year when it was in Western Australia. This year Corey and his mother Anita were offered horses to ride by former WA riders Roman and Tanya Stoffel who have relocated to Queensland. More than 200 competitors from Australia, Malaysia, Canada, Japan, America and the United Arab Emirates started the event at 4am on Saturday with only 99 riders successfully completing the course in the allowed 24 hour period. The course was split into six legs of distances ranging from 32km to 15km with the horses having to pass strict veterinary checks at the end of each leg before being allowed to proceed. No longer eligible to ride in the junior division, Corey placed 38th in the middleweight division, completing in a time of 18 hours 42 minutes. WA riders Harry O’Brien and Simon Slemint, both of Burekup, also completed the course successfully. “The course was really hard, we were either going up or down with not much flat going at all,” Corey said. “A lot of the course was over the same ground as the Trans Tasman last year so I had an idea of how hard it was going to be. Corey was halfway up the highest peak with 15km left to go when the storm hit. “Mum’s horse vetted out for lameness at the 120km mark so I was riding by myself at that stage, and there was that much lightning around it was like daylight and the thunder sounded like it was right on top of us,” he said. “When it started to hail and rain I didn’t think about the cold too much, I was more worried about missing the directional markers and getting lost. At the peak of the storm, organisers took the unprecedented steps to suspend the ride due to safety reasons. Competitors due to go on track were held in until the storm had passed, with their ride times being adjusted accordingly. However, riders already on the track had to keep moving and weather the conditions as best they could. Corey said he would like thank Healthways Smarter than Smoking and Milne Feeds Team Pegasus for their continued support along with Roman and Tanya Stoffel and Wade Burgess for allowing him to ride their horse, aptly named Stormy. The National Horse Show, a lead-up event to the FEI World Endurance Championships, will be organised for the first time in 14 years in Terengganu on Oct 31-Nov 2. Among the events at the horse show, to be held at the Terengganu Equestrian Resort, will be the FEI World Jumping Challenge, World Dressage Challenge, Pint Club Mounted Games and an Endurance Riding competition. The endurance event, which has attracted competitors from Malaysia, Brunei, Indonesia, Singapore and Thailand, will be held over courses of 40km and 80km at the Marang Endurance track on Nov 1-2. The Pony event will showcase the skills and bravado of pony riders. Another attraction is the horse breeds display, where enthusiasts will see 20 different breeds found in Malaysia. The National Horse Show, which made its debut in 1994, is one of the most popular equestrian events in the country. THE Yang di-Pertuan Agong, Sultan Mizan Zainal Abidin will not be the only blue blood competing in the World Endurance Championships (WEC) at the Terengganu International Endurance Park (TIEP) in Setiu on Nov 6-9. Hot favourites, the United Arab Emirates (UAE) named its Crown Prince Shaikh Hamdan Mohammed Rashid Al-Maktoum and his brother, Shaikh Majed, to lead the team in the 160km event. UAE are the favourites together with Brazil and Spain to win the individual and team titles. Shaikh Hamdan is currently ranked 17th in the world while Shaikh Majed is at 33rd. Among the other members of the UAE team are Mohammed Ahmed Ali Al Subose and Abdulla Thani Huzaim, who are ranked fourth and sixth, respectively. Meanwhile, Bahrain will be led by Crown Prince Shaikh Nasser Hamad Al Khalifa, who is ranked No 9 in the world. The 21-year-old Shaikh Nasser is best remembered for winning two silver medals (individual and team) at the 2006 Doha Asian Games. He will be riding Kheopsy Du Pilat at the WEC. Also in the team is his cousin Shaikh Khalid who won the 160km endurance race in England, two months ago. WEC operations manager, Salim Fazlay said security will be tight to ensure safety of the competitors, especially members of the royal families. "We are also expecting UAE's ruler Mohammed Rashid Al-Maktoum at the event. He and the team will arrive in Terengganu on Nov 5 in their private jet," said Salim. "Around 300 army personnel will be concentrated at all points of the venue (TIEP), including the 160km course". Salim added the soldiers have been drilled months ahead for the event. The road to the FEI World Endurance Championship (WEC) will be a little longer for Brazil's six horses because of a recent case of glanders in a horse in Sao Paulo. The European Union (EU) originally refused to allow horses from Brazil to transit through Europe en route to Malaysia for the event. That decision has been modified, according to Derek Liebenberg, WEC technical advisor. "(EU authorities) divided Brazil into different zones," Liebenberg explained on Oct. 11. "This meant that all the competition horses from Brazil are based in the so-called 'free zones,' and the EU ruled that the horses from these free zones may transit through Europe." KUALA TERENGGANU: For the first time, a Malaysia Airlines Boeing 747-400 landed at the Kuala Terengganu Sultan Mahmud Airport, bringing a load of excited passengers and good news for the state. The debut flight yesterday signalled the beginning of direct flights to Mecca for Muslims on the east coast to perform the haj, bringing to fruit a four-year-old ambition. This year will see 18 return flights to Jeddah beginning Nov 13 and the ferrying of about 3,000 pilgrims from Terengganu, Kelantan and Pahang. In the past, pilgrims from the east coast would head for Kuala Lumpur before boarding a flight to Mecca. The landing also signified state preparations to fly in horses beginning on Oct 17 for the World Endurance Championship (WEC) in early November. The state government also signed an agreement to finance a sum of RM4.6 million with MAS, being the excess cost for the haj this year and the WEC, including transportation cost for ground service equipment, logistics and petrol. The cost was supposed to be borne by MAS due to the change in flight schedules from the Kuala Lumpur International Airport to the Sultan Mahmud Airport. "With the new facilities, the airport has reached international standard and we are working hard to get the title from the Transport Ministry," said Terengganu Men-teri Besar Datuk Ahmad Said after greeting 224 passengers, including 40 orphans and journalists, on the flight. "It will be a gateway to the east coast," Ahmad said, adding that negotiations were also ongoing with the Department of Civil Aviation to bring in more flights from China because of the airport's convenient location. "The airport is a long-term investment for the state and we hope to get more international flights and develop the tourism industry. "Right now, we are looking at incentives, including an airport tax subsidy to attract more international landings." MAS external relations senior general manager Datuk Mohd Nawawi Awang captained a fly-past over the airport and the city before landing about 3pm, when it received a water salute from two fire trucks. A case of glanders in a horse in a Sao Paulo, Brazil, has impacted international transport and competition in Brazil and abroad. Event organizers, equine transport companies, and governmental authorities are working closely together to keep horses moving while minimizing risks. A horse in a university veterinary hospital was diagnosed with glanders on Sept. 3. While glanders is considered endemic in some northern and north-eastern areas of the country, this case occurred in the southeastern portion of Brazil. The contagious disease has been eradicated from many countries, including the United States, Canada and Western Europe. As a result, the Fédération Equestre Internationale (FEI) moved to delay the Global Champions Tour CSI-5* Final show jumping competition in Sao Paulo to Oct. 15-19. The event was postponed to give competing European horses time to travel to Brazil following a meeting of European Union (EU) authorities on Oct. 2 to determine the re-import procedure for those horses due to the glanders case. Authorization has been granted for the event to be held and European horses will compete. There were only a few of the Lachlan Club members attend this year’s state championships at Manilla as it was very close to both the Shahzada 400kms in August and the Tom Quilty which this year took the unusual date in September in Queensland at Nanango. This was necessary due to the timing of the comeback out of EI restrictions and the Victorian committee not quite being ready to take interstate horses at the time. The event attracted a good number of riders with a total of 86 combinations to tackle the Manilla course which was generally considered to be an “easy” course if there is such a thing in 100 mile rides. What did make it difficult was the concussive nature of the hard roads and tracks in the district together with lack of natural water on track. The ride organisers did put some troughs about on the later legs of the ride during the more difficult sections of the track. Outright winner and state champion was Stuart Hitchcock of Kurrajong riding his gelding Farras coming across the line with lightweight rider from Blayney Dianne Luker riding Peter Cooper’s gelding Anabriar Khaboul. Robin Gossip of Woodstock made the trip with her gelding Wesswood Willow and strapper Dianne Cameron. Robin unfortunately went out after the fourth leg with Willow pulling up lame. John Symons of Canowindra also competed on his mare Forestdale Xasperation, however this duo also suffered lameness after the third leg. Alan Lindsay took his mare Kintamani Charisma and junior rider Emma Smith rode Alan’s gelding Kintamani Mistral in the Manilla event in order to qualify for the Tom Quilty as riders have to have completed a 160km event before they are permitted to take on the Quilty. Both Alan and Emma were successful with Emma coming in third junior, an excellent effort considering both her and the horse were making their first 160kms event. After months of non-stop hoping and waiting, the FEI World Endurance Championship 2008 Organising Committee has finally confirmed the definite entries for the most awaited championship of the Endurance Sport! 142 horses and their riders from 34 countries are set to battle to become World Champion for the FEI World Endurance Championship 2008 that will be held from 5 - 9 November 2008 at the Terengganu International Endurance Park. The 2008 FEI European Endurance Championships for Juniors and Young Riders took place Sept. 26-28 in Oviedo, Spain. With a 58-percent completion rate, the young participants showed they were up to the challenge and managed to combine both smart and efficient riding. French riders dominated the competition by finishing first and second in the individual competition and winning the team event. Belgian riders also had a very successful weekend, winning bronze in the individual and silver in the team. With three out of four riders finishing the ride, Switzerland still managed to win bronze in the team competition followed by Great Britain in fourth place. During the closing ceremony, the organizers of Oviedo passed on the FEI flag to the organizers of the 2009 FEI World Endurance Championship for Juniors and Young Riders to be held in Babolna, Hungary.